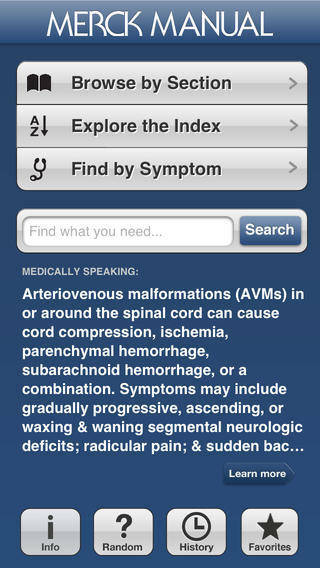 The top-rated Merck Manual app for healthcare professionals. For over 100 years, healthcare professionals have relied on The Merck Manual for essential information on diagnosing and treating medical disorders. Now in its 19th Edition, The Merck Manual of Diagnosis and Therapy is the work of more than 300 independent contributors, all recognized experts in their fields. 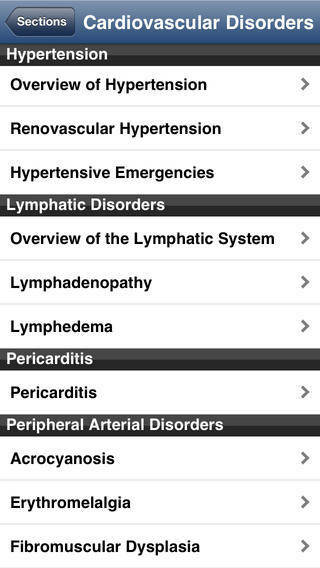 The Professional Edition app puts the widely used medical textbook at the professional’s fingertips, whenever and wherever it’s needed. The top-rated app runs beautifully on iPad, iPhone and iPod touch, and is fully self-contained: no Internet connection is needed to access the great content of The Merck Manual. • Does not require registration, subscription or software downloads.